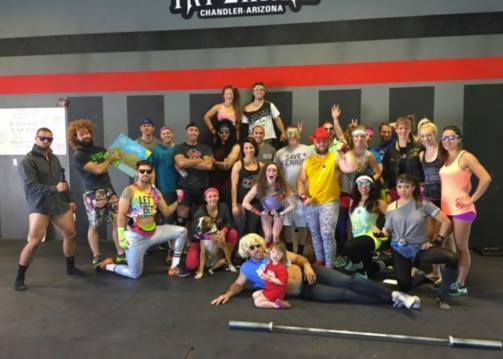 In a couple weeks the first open workout will be announced, and for us crazy CrossFitters it’s what we have been looking forward to for the past 12 months. It’s our chance to test our fitness against our friends, or see how far we’ve come from last year. Maybe you made a push for better nutrition centered around weight loss for the gymnastic movements, or to increase strength and gain weight for the heavier lifts. Now is your opportunity to put it to the test! The only thing you can control is giving your best effort. People get caught up in feeling the need to place or score in a certain fashion, when in reality there are way too many outliers that you cannot control that could affect your score from being what you wanted it to be. Make sure you have a proper game plan in mind that is specific to you and will allow you to complete the workout as planned, execute it to your best ability, and give your best effort. If you need help, ask a coach! This is probably the most detrimental thing about competing and most often forgotten trait of CrossFit. Being the competitive sport it is, it is very hard not to compare, and very easy to lose the fun (the main reason we all got into it). By placing your focus on other people during a workout it will completely take you away from your OWN game plan, potentially ruining your attempt at achieving the best score. What’s even worse is when the comparison begins, it will leave you mentally distraught and probably questioning why you even CrossFit. Neither of these are fun, and will be more poisonous than anything. Keep it simple, find the FUN in why you are doing the open, and place your sole focus on your own efforts, and if you gave it your best you should be proud. This ties into the first 2 points, but your success should be solely measured by your own personal effort, intensity, and focus. This is different for each person. One person may find success in just blowing through the workout and ending up dead on the floor. Another may have a strategic game plan and flawlessly execute it and that is a HUGE win. If you came into the workout and did absolutely everything you could, executed your game plan perfectly, and left it all on the floor – regardless if you achieved a goal you were shooting for or not – you should consider this a success. If you didn’t, take it as an opportunity to grow and learn so the next time you have a chance to put it to the test, you don’t waste it!